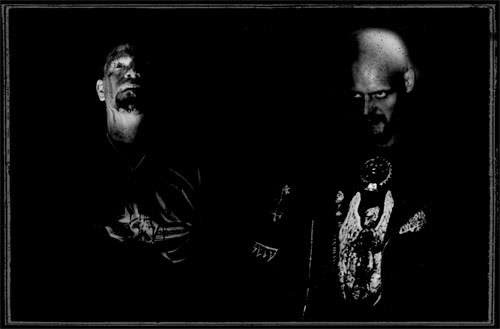 Swedish band Nefandus was founded as a satanic Black Metal band in 1993 by Belfagor, Ushatar and Blackwinged. Now the band is still active as a duo (Ushatar & Belfagor) with principally the same agenda as in the beginning: "to spread the Light of Lucifer and the satanic legacy that has been chosen to the band by the gods and goddesses of Sitra Ahra." The band released a demo tape entitled "Behold the Hordes" in 1995, when they had chosen the name Nefandus after a few other alternatives. 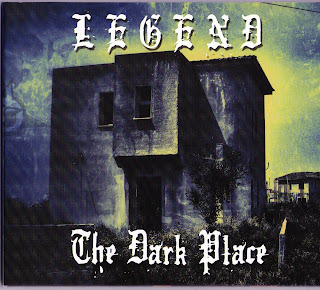 In 1996 came their debut album through Secula Delenda productions entitled "The Nightwinds Carried our Names". 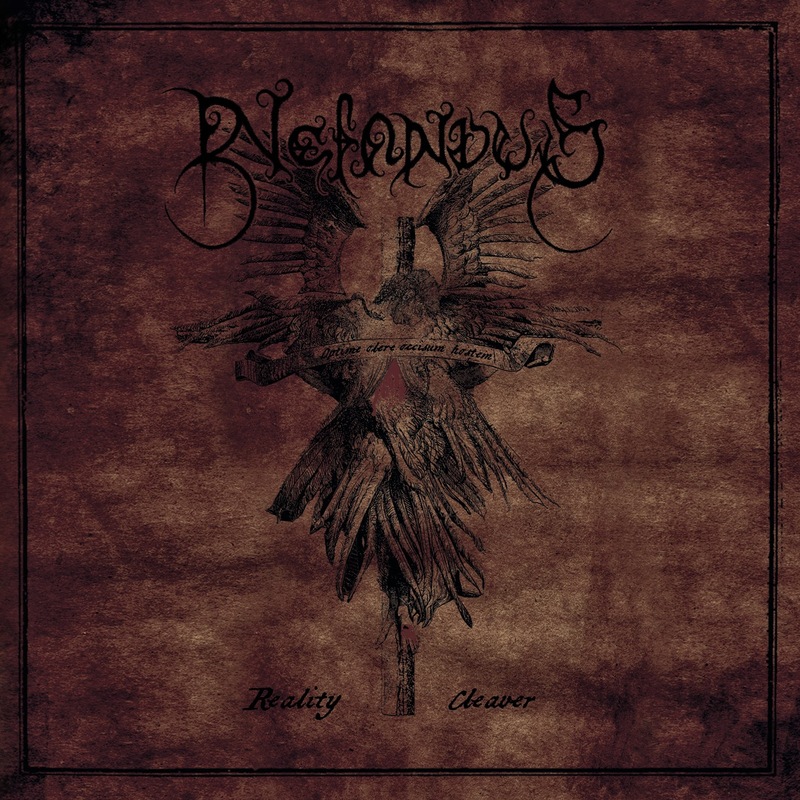 After some years of silence Nefandus entered the studio (Endarker) in 2008 and recorded their second CD "Death Holy death", which was released by Belfagor´s Left Light Emanations with LP version through german World Terror Committee. This was later followed by a MCD entitled "Your God is a Ghost" through Daemon Worship Productions. The latest release 'Reality Cleaver' sees the band hone its unique, ritualistic and infectious music and delivers it in a deceptively paced fervour. 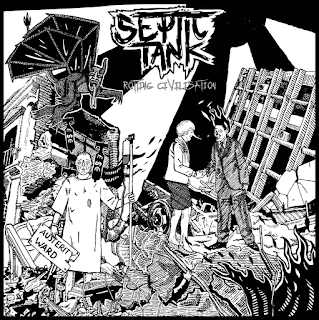 The new album features artwork by Iblis Art and lyrical contributions from Grim Vindkall (Domgard, Snakeskin Angels), J.K. (Ofermod, Mortuus) and Vaerulv, as well as special vocals done by Thomas Sabbathi (Griftegard and Year of the Goat). Right from the start i must confess to being a little surprised i was expecting some brutal and extreme music based on their bio and image, however clicking play on the first track 'Verses From The Chaosverse' i hear melodic Black Metal, slow and doom like, sure there is a blast beat over riff element thrown in, but the music remains moody, the vocal delivery is to be expected full of menace and growls, but again somehow remains melodic. An upbeat bass and drum opening for 'A Single Second Of Clarity' and the pace is a little faster, but not to the extreme, that atmospheric quality remains. 'Qayins Hunt', 'Redeemer Of Fire' and 'Reality Cleaver' stick somewhere in between the 2 rhythm styles set out from the opening songs. Now then 'Reborn As Wolf' is much faster, more in keeping with that more traditional based Black Metal sound, dual vocal effects thrown in for extra menace. After getting back to that slow rhythmic sound with 'From The Great Deep' we come to the last track 'Scorn Of The All Mind'. First of all there are some great female vocals on this track, but i have no idea by whom, the other vocalist on the song is Thmas Sabbathi and its a clean vocal style which works well with the music.